Thank you to our loyal customers, old and new, for 33 years of continued support! 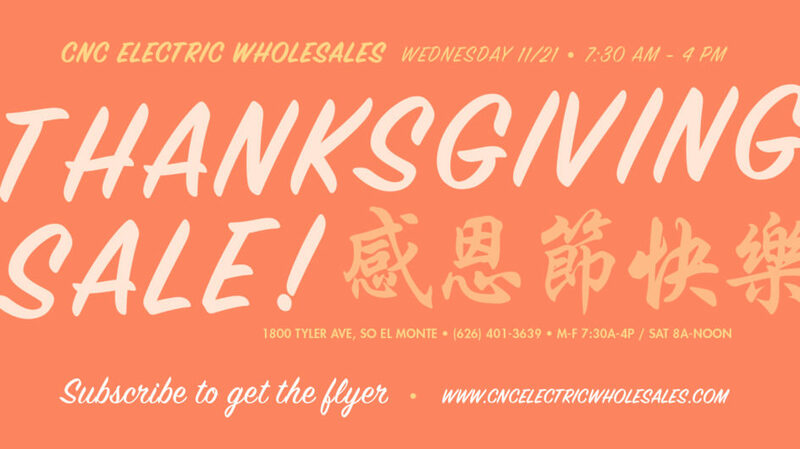 Join us on Wednesday 11/21 from 7:30 am – 4 pm at our store in South El Monte for a Thanksgiving Sale. Check out the flyer for special pricing on LED lights and housing, EMT, rigid conduit, fittings, service panel kits, breakers, fuses and much more! Come early while supplies last!